The Rutgers-Camden Winter Session offers a selection of intensive, credit bearing courses between the Fall and Spring semesters. Earn up to four credits toward graduation! Reduce your Fall or Spring course loads! Take Special Topics courses unique to Winter! 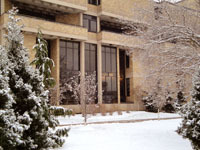 Winter offers a range of courses from Anthropology to Writing, in both in-class and online formats. Courses are offered through the College of Arts and Sciences, School of Business, and School of Law. Registration is open to Rutgers students and non-Rutgers students alike. Winter's small class sizes and imersion format helps students better succeed! Courses meet once on Dec. 21, 2018, break over the holiday, and then meet for three very intensive weeks, Monday through Friday, January 2, 2019 to January 18, 2019. For more information, select one of the options above. Last day of Winter Classes. Last day to withdraw with a "W" grade. No withdrawals will be permitted after this date. Last day to withdraw from courses for 50% refund. Winter Classes start (except math). Last day to drop Winter course for 100% refund. Courses dropped after this day will receive a "W" and partial or no refund. Last day for late registration with $125 late fee. Late registration and payment period begins with $125 Late Fee. Last day for registration and payment without a late fee. Winter 2019 Registration begins for all students. Please note all information is subject to change. We will make every effort to keep this website up to date with schedule, course, instructor and other changes. 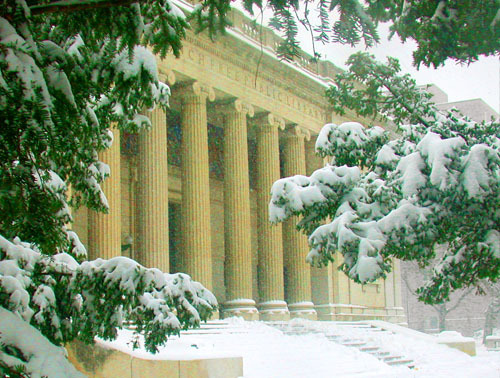 If there are any questions or concerns, please contact the Winter Session Office.